Tasnim – Iran’s Army Commander Major General Abdolrahim Mousavi said a number of the Army’s soldiers were among the victims of Sunday night’s earthquake that hit the border region between Iran and Iraq. “Unfortunately, as a result of the destruction of Army buildings in border areas and garrisons in quake-hit cities, a number of our youths lost their lives,” the commander said. So far, over 440 Iranians have been pronounced dead and more than 7,100 others injured in the quake measuring 7.3 on the Richter scale, whose epicenter was near Halabjah, southeast of Iraq’s Sulaymaniyah. 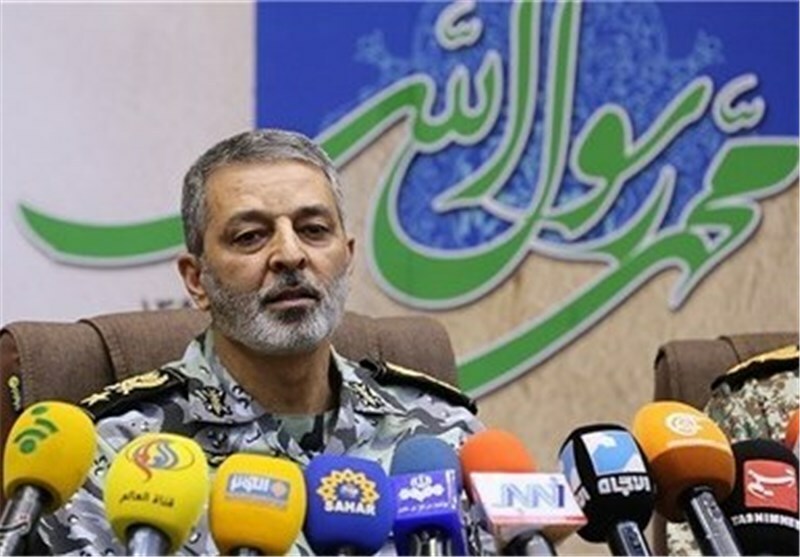 Elsewhere in his remarks, Major General Mousavi referred to the Army’s rescue efforts in the areas affected by the tremor, saying helicopters of the Army Ground Force Airborne Unit have conducted more than 250 sorties, transferring the injured from Sarpol-e-Zahab, a city in the western province of Kermanshah hit hardest by the quake, to Kermanshah, the provincial capital. He added that efforts are also underway to use the Army Air Force’s C-130 aircraft to carry some of the injured from Kermanshah to other cities. Furthermore, the commander said, four brigades of the Army Ground Force are helping in operations to rescue those trapped under rubble in Sarpol-e-Zahab and nearby areas. More than 130 aftershocks, some even measuring greater than 5 on the Richter scale, have rumbled through western Iran since last night. In a message on Monday morning, Leader of the Islamic Revolution Ayatollah Seyed Ali Khamenei ordered all Iranian officials to rush to help the large number of people affected by the earthquake, and particularly rescue those trapped under rubble in the very first hours after the disaster.